ELCAVOTES! : ELCA Advocacy, along with Young Adult Ministry and Racial Justice Ministries, officially launched the ELCAvotes! initiative, and the website is now live. 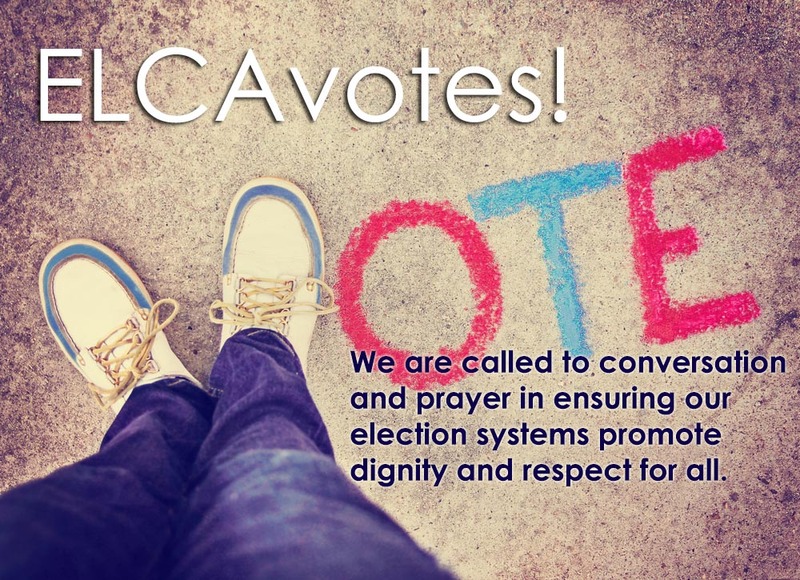 Lutherans can access a number of resources, including Bible studies and discussion guides as part of a toolkit developed to focus on civic participation, voting rights and racial justice. 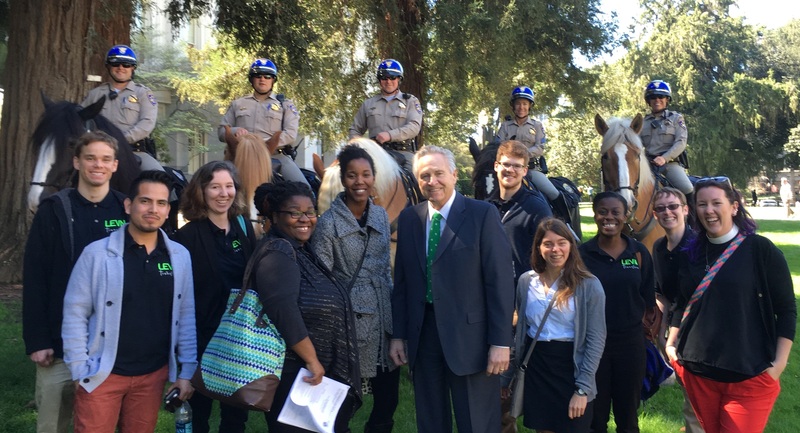 As part of the initiative, 20 individuals from across the country received scholarships to attend Ecumenical Advocacy Days April 15-18 in Washington, D.C. With the event’s theme “Lift Every Voice! – Racism, Class, and Power,” Lutherans will engage alongside other participants in education, worship and advocacy. INTERNATIONAL WOMEN’S DAY: On International Women’s Day, ELCA Advocacy encouraged support for the International Violence Against Women Act. The legislation, which is pending in Congress, would enable the U.S. government to develop faster and more efficient responses to violence against women in humanitarian emergencies. Globally, an estimated 1-in-3 women will experience physical, sexual and psychological abuse in their lifetime. 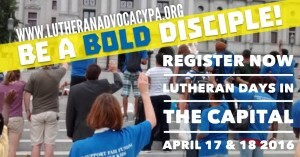 Advocates can take action at the ELCA Action Center. EL SALVADOR UPDATE: Alaide Vilchis Ibarra, assistant director for migration policy and advocacy, traveled to El Salvador for the first Ecumenical Conference for Peace and Reconciliation. The Salvadoran government has responded to the incredibly high murder rate in the country, similar to rates during its civil war, with militarization and the criminalization of anyone involved with gangs. Earlier this year, the U.N. High Commissioner for Refugees released a plan to protect to Central Americans and work with the governments in the region to ensure that they improve their ability to provide protection. Although the plan is comprehensive, no countries have agreed to help pay for these critical tasks. MIGRATION AND VOTING: Several synods and interfaith leaders have expressed concerns about vitriolic rhetoric directed at immigrants and refugees during the current election campaigns. ELCA Advocacy encouraged Lutherans to join a webinar earlier in March, explaining how congregations can share tools and strategies to support and engage immigrant and refugee communities. 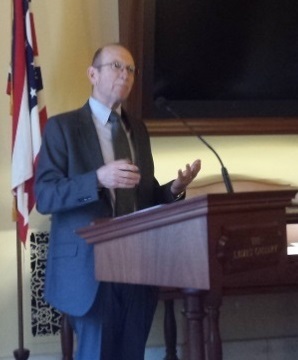 METHANE STANDARDS: ELCA Advocacy announced support for a proposed methane standard. This long anticipated plan would help reduce natural gas waste on tribal and publicly owned lands. The proposal, created by the U.S. Department of the Interior, is expected to be approved by the end of this administration. If passed, the safer standard will help stop the frequency of dangerous methane leaks, which pollute communities, and will lessen our contributions to climate change. The proposal is open for public comments until Earth Day, April 22. ECUMENICAL WOMEN: Ecumenical Women is a coalition of 18 congregations and ecumenical organizations accredited with the United Nations, including The Lutheran World Federation. On Saturday, March 12, Ecumenical Women held an orientation for its approximately 160 delegates to the 60th Commission on the Status of Women (CSW). 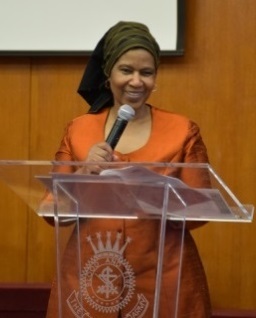 During this orientation, Under-Secretary-General and Executive Director of U.N. Women Phumzile Mlambo-Ngcuka spoke about the importance of this being the first commission held after the adoption of the 2030 Agenda for Sustainable Development in 2015 and thanked faith-based organizations for their work on the agenda. Maria Cristina Rendón of The Lutheran World Federation moderated a panel on the role of women’s empowerment in the implementation of the sustainable development goals. Throughout the week, Ecumenical Women delegates had the opportunity to meet with member states to discuss gender justice and the sustainable development goals. Overall, member organizations of Ecumenical Women organized and sponsored more than 20 events during the CSW. Both Nicholas Jaech of the Lutheran Office for World Community (LOWC), the communications chair for Ecumenical Women, and Christine Mangale of LOWC, the coalition’s treasurer, were keys to the success of Ecumenical Women during the event. You can learn more about the work of Ecumenical Women during the two weeks of the commission by checking out their Twitter page. LUTHERAN DELGATION: LOWC welcomed 36 delegates to the Commission on the Status of Women this year. These delegates joined us from Lutheran churches in Brazil, Democratic Republic of Congo, Indonesia, Madagascar, Malawi, Malaysia, Mexico, Swaziland, Switzerland and the United States. 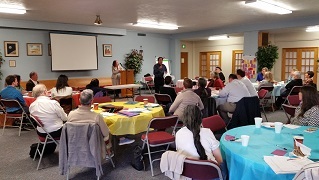 The Lutherans came together on Sunday, March 13, for a day of learning about global Lutheran programs on gender justice, as well as an opportunity to learn more about each other. That evening, the Lutheran delegates worshiped at the beautifully unique Jazz Vespers at St. Peter’s Lutheran Church. During their time at the commission, the Lutheran delegates were able to attend U.N. events and meet with government representatives from their home countries. On the third day, the Lutheran delegates led morning worship at the Church Center for the United Nations. LUTHERAN-ORGANIZED AND CO-SPONSORED EVENTS AT CSW: LOWC organized and co-sponsored four events on role of faith-based organizations in sustainable development and addressing gender-based violence. At these events, Lutheran delegates, particularly the international delegates, had the opportunity to share their experiences on the role of the church in gender justice. On Tuesday, March 15, Dennis Frado, director of LOWC, moderated a CSW parallel event, “Forced Migration, Human Trafficking, and Child Soldiers: How ISIL [the so-called “Islamic State in Iraq and the Levant”] is Exploiting the Conflict in the Middle East.” A diverse and superb group of panelists spoke on the topic: Li Fung, office of the Secretary-General for Children and Armed Conflict; Shafferan Sonneveld, Muslims for Progressive Values; Edward Flynn, U.N. Counter-Terrorism Executive Directorate; and Emeka Obiezu, Augustinians International and the U.N. Nongovernmental Organization Committee on Migration. Particularly valuable was a contribution of Sonneveld, who noted that she and her organization use “the word Da’esh instead of ISIS because what they [Da’esh] are doing does not represent Islam” in any way. She also pointed out the misuse of Quranic scripture by Da’esh. Fung stressed the importance of upholding international human rights and humanitarian law. Monday, March 14: “Developing a Common Feminist Faith Discourse to Achieve Gender Equality.” During this event, the Rev. Cibele Kuss, executive director of the Lutheran Foundation of Diakonia in Brazil, discussed how a feminist faith discourse can help to achieve gender justice. Tuesday, March 15, at “Women and Tech: Effective Video Documentation of Sexual Violence – Lessons Learned,” the Rev. Yumba Wa Nkulu Solange from the Evangelical Lutheran Church in (the Democratic Republic of) Congo and Doo Aphane of the Evangelical Lutheran Church in Southern Africa shared their experiences. Wednesday, March 16: “Engaging Faith Communities to Implement SDGs – Achieving Gender Justice And Eliminating Violence Against Women and Girls.” During this event, the Rev. 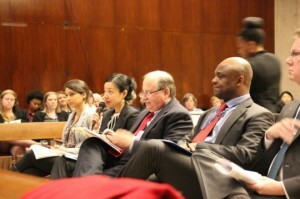 Cibele Kuss of Brazil also spoke. Also on Wednesday: “Faith at the Crossroads of Sustainable Development and Sustained Gender-based Violence.” During this event, the Rev. Julinda Sipayung of the Simalungun Protestant Christian Church (Gereja Kristen Protestan Simalungun) in Indonesia, the Rev. 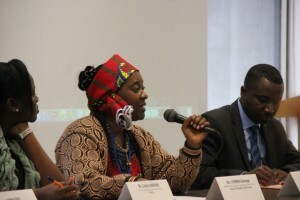 Margaret Kelly of the ELCA, and Mabel Madinga of the Evangelical Lutheran Church in Malawi shared their experiences. PUBLIC ASSISTANCE: The campaign to repeal the CalWORKS/TANF Maximum Family Grant rule, a priority for LOPP-CA, advanced through budget subcommittees on health and human services in each house. The rule prohibits additional aid for babies born into families that already receives assistance, contributes to California’s high child poverty rate, represents punitive attitudes toward women, is based on racial stereotypes, and contributes to racial disparities. There is still a long road ahead through the budget process amid Gov. Jerry Brown’s fiscal caution. CARE FOR CREATION: LOPP-CA Director Mark Carlson participated in a policy briefing on climate change and natural and working landscapes with landowners, advocates, legislative leaders and administration officials, including Food and Agriculture Secretary Karen Ross (Lutheran), and Gov. Brown. LOPP-CA is supporting a bill to place in the statute language that includes protection and management of natural and working landscapes as vital to our state’s carbon reduction goals. We are taking the lead in organizing a faith-communities exhibit at the Earth Day Festival at CalEPA at the invitation of the state Water Resources Control Board. HOSPITALITY: Mark was a Capitol guide for a team of high school students as part of a California Alcohol Policy Alliance lobby day to support a ban on powdered alcohol (based on the prevention commitments in ELCA social statements on health and criminal justice). A highlight of March was a Day at the Capitol for the Lutheran Episcopal Volunteer Network, including conversations with the Senate majority leader, and with the dean of the Legislature (longest serving member, photo right). 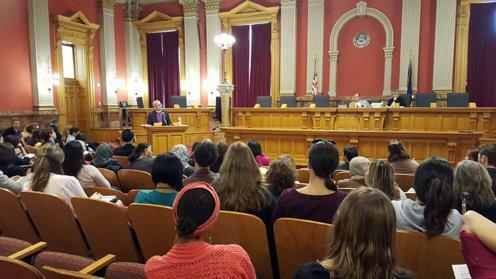 Bishop Jim Gonia addresses an audience gathered to learn about the refugee and asylum process at the Old Supreme Court Chambers in the Colorado Capitol on March 14. LEGISLATIVE UPDATE: The Colorado legislative session passed the halfway mark in March, and Lutheran Advocacy Ministry-Colorado (LAM-CO ) has been busy advancing our priorities. The Joint Budget Committee has been meeting to work on the Long Bill for the upcoming fiscal year, and LAM-CO has partnered with Hunger Free Colorado to ask members to add funding for additional agency staff to increase food assistance program enrollment. 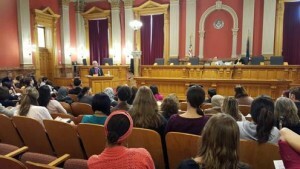 Other priorities for the coming month include: a bill to initiate a study of the child care needs of low-income parents while they pursue higher education (HB 1050), a bill to exempt low-income people from requirements to pursue legal action around child support before receiving benefits from the Colorado Child Care Assistance Program (HB 1227), a bill to ensure the continued funding for non-profits to assist people in acquiring necessary identification documents (HB 1386), and a bill to allow job applicants with a criminal record to be considered by employers rather than be immediately excluded from review (HB 1388). We await the late introduction of several additional bills that we have signed on to support as well. AFFORDABLE HOUSING BOND BILLS: Minnesota’s current affordable housing bond bills include SF2410, authored by Senators Tomassoni (SD06) (chief author), Senjem (SD25), Marty (SD66), and Rosen (SD23); and HF2784, authored by Representatives Hausman (HD66A) (chief author), Schomacker (HD22A), Slocum (HD50A), Bernardy (HD41A), Hornstein (HD61A), Fischer (HD43A), Baker (HD17B), Gunther (HD23A). $110 million in housing infrastructure bonds to increase the supply of affordable housing, preserve existing units, and add a new use – develop affordable housing for low-income Minnesotans age 55 and over. $20 million in general obligation bonds to preserve existing public housing (including health, safety, and energy efficiency improvements). Action needed: Urge your representative to support and coauthor HF2784. Emphasize the need for more affordable housing in your community. (Limited coauthor slots in the Senate mean we must be very strategic there. However, if a “clone bill” is introduced, we can begin to ask for additional coauthors). (See a sample letter here). PAYDAY LENDING BILLS: Payday lending bills include HF1545, authored by Representative Hoppe (HD47B); and SF1815, authored by Senator Hayden (DFL/SD62). Both bills were introduced last year, but have made no progress since then. Action needed: Urge your legislators to help move payday lending reform, especially if they are on one of the commerce committees. CLEAN ENERGY: There are several bills that deal with energy but take us backwards and away from cleaner energy. Action needed: Urge your legislators to support and protect clean energy in Minnesota. (See a sample letter here). Send your contact information to Tammy Walhof to be part of our Rapid Action Network (tammy@lcppm.org; 651-238-6506). The interim time between sessions is underway. At a recent meeting of the Legislative Finance Committee, much of the agenda was devoted to the state revenue shortfall anticipated for future fiscal years, particularly in funding for Medicaid. Medicaid was underfunded for the current year by $85 million, which means that cuts to the program could total more than $400 million when federal matching funds are taken into account. LAM-NM Director Ruth Hoffman is an appointed member of the state Medicaid Advisory Committee and has been appointed to a subcommittee looking at benefits, eligibility verification and cost-sha ring. The subcommittee’s recommendations are advisory to the Human Services Department, which will make the final decisions on the Medicaid budget. LAM-NM has been a part of the effort to create the midlevel profession of dental therapist for more than five years, and planning has begun for the 2017 legislative session. A coalition of community and Native American groups met in Albuquerque to discuss strategy. Dental therapists are needed in underserved areas and are a licensed dental professional between a dental hygienist and a dentist. How does Ohio do compared to other states on metrics that matter – like hunger, infant mortality, college tuition, median wage and high school graduation? After 10 years of massive tax cuts for the wealthy, does Ohio have more jobs and better pay? A new report seeks to answer these questions in an accessible manner and highlight areas for new public investment. For example, if we roll back the most recent round of income tax cuts in Ohio – we could end hunger in our state. You can read the report here. For more information on the report, contact the report’s author, ELCA Diaconal Minister Nick Bates, at Nick@OneOhioNow.org. 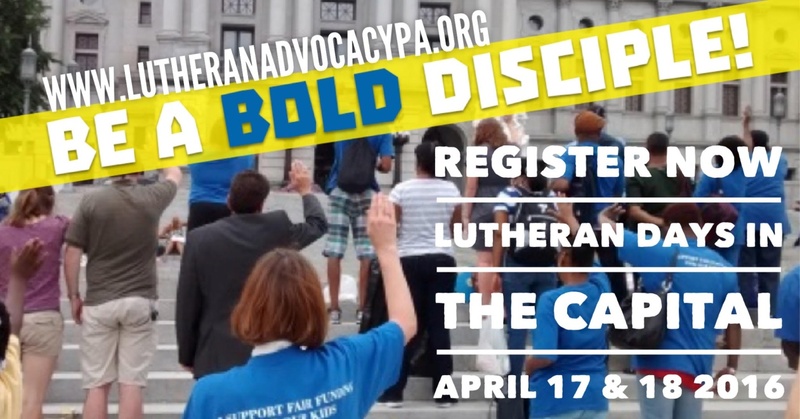 LAMPa is busy preparing for Lutheran Days in the Capitol: “Stirring the Waters – Faith, Science and Action!.” The event is part of Lutheran Theological Seminary at Gettysburg’s Spring Academy Week and features advocacy training and celebration, an ELCA Glocal event in the Capitol Rotunda, and a canoe trip guided by the secretary of the state Department of Conservation and Natural Resources. In other news, Pennsylvania finally has a budget for 2015-2016 – nine months late. The governor refused to sign it but allowed it to become law without his signature. The fiscal code needed to pass the school funding formula we worked for as part of the Campaign for Fair Education Funding was vetoed, however. Read more. Advocates are regrouping after this unprecedented turn of events. “The Virginia Interfaith Center for Public Policy and the Virginia Council of Churches are calling on Virginia’s elected leaders — and all citizens — to renew our commitment to religious freedom and pluralism and refrain from scapegoating our Muslim citizens and neighbors in the wake of another tragic action of violence. “Virginians are proud of the Virginia Statute for Religious Freedom, drafted by Thomas Jefferson and passed into law by the Assembly in 1786. Virginia’s leadership paved the way for the first amendment’s freedom of religion in the Bill of Rights in 1789. “Today, we mourn with the people of Brussels and all those who have faced terrorist attacks. We know that politically motivated terrorists often use religious language to justify their actions. Many faith traditions have experienced their language usurped to justify political actions and decisions. Our society is best-served by respectful civil discourse and discussion, not suicide bombers. Mosques and Muslim leaders throughout Virginia condemn the violence. VICPP did not fare well in the latest session of the Virginia General Assembly, as only a plan to reduce or end childhood hunger could be counted among legislative victories. But the organization will continue to advocate for its priorities, which include closing the health insurance coverage gap, reducing gun violence, criminal and economic justice reforms, and fair immigration laws. On March 31, Gov. Inslee signed a bill concerning certificates of restoration of opportunity, which helps those coming out of prison secure housing and employment. The Washington Legislature adjourned on March 29, and Faith Action Network (FAN) celebrated four budget victories: 1) mental health funding for more staff to alleviate the boarding of people who are mentally ill, 2) funding for the Civil Legal Needs program to help at-risk households stay afloat, 3) funding for a homeless students voucher system to create housing stability and facilitate academic success, and 4) language repealing a state prohibition of allocating public funds for post-secondary education in prisons to reduce recidivism. FAN had five policy bills signed by the governor: 1) criminal justice reform, focused on a certificate program to help those coming out of prison secure housing and employment, 2) a new statute to begin a voucher system to identify homeless students in our public schools and create housing stability and facilitate academic success, 3) a new statute to eliminate certain chemicals from kids’ flame-retardant products that are sold or manufactured in Washington, 4) a short-term task force created to bring recommendations to the 2017 Legislature regarding police-community standards and law enforcement use of deadly force, and 5) a new statute that expands our state’s definition of human trafficking to include labor trafficking. 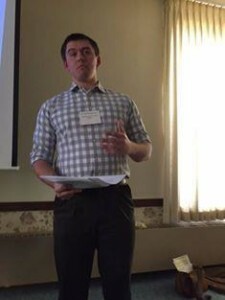 LOPPW intern and team member Kyle Kretschmann talks about what his congregation, Midvale Lutheran in Madison, is doing to serve as a witness to care for God’s creation. Team member and former advisory council member Nick Utphall talks about climate change and poverty. PLANNING AND RESOURCES: With the Wisconsin Legislature winding down, LOPPW has increased its focus on preparing for synod assemblies, completing a resource on human trafficking (for youth and adults) and a resource on money and politics and its impact on poverty, and strategizing and networking to organize candidate forums. We will have completed our two new resources by the time of the first assembly at the end of April. PROTECTING CHILDREN: We have locations and dates for the three conferences for human trafficking with details about the Wisconsin Rapids conference organized by LOPPW and Cherish All Children. Change to three sentences People are now able to register for the first of our three conferences on human trafficking. All three events are being organized by LOPPW and Cherish All Children with support from the national Women of the ELCA. Register for our June 25th conference in Wisconsin Rapids by clicking here. CARE FOR GOD’S CREATION HUNGER TEAM: LOPPW has assisted two synods in creating hunger teams in Wisconsin. The South-Central Synod team emerged as a partnership between the synod and LOPPW. LOPPW can accompany or partner with teams depending on what works best. The focus of this team is on climate change, water and poverty. 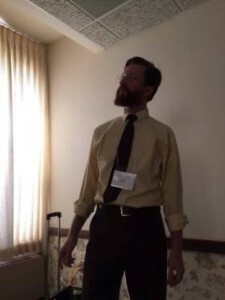 At a synod-wide gathering in March, LOPPW’s director and two team members led a workshop.